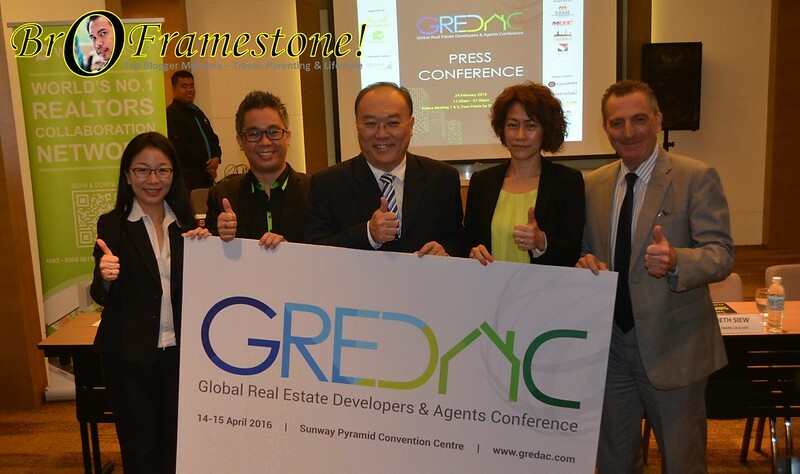 The real estate industry is taking a revolutionary turn as Malaysia will be playing host for the very first time to the Global Real Estate Developers and Agents Conference (GREDAC); Malaysia being the first to host this industry-leading conference. 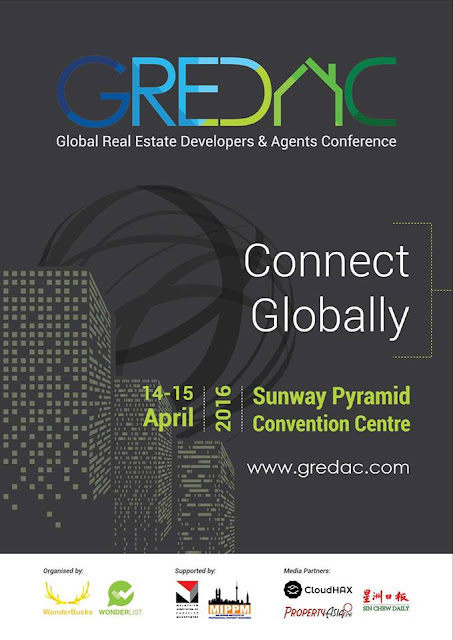 A highly-anticipated event, GREDAC will be home to the world’s top-level property experts and award-winning real estate agents from across the globe which will be held in Sunway Pyramid Convention Centre from 14 -15 April 2016. Organised and owned by Wonderlist Property, GREDAC brings together successful real estate developers as well as influential property agents in a common goal of building new and exciting partnerships, sharing market outlooks in the current economic situations, discovering new up-and-coming world-class projects through a dedicated programme as well as aiding in the revolution of technology in the property market. According to Wonderlist Property’s Managing Director, Ray Chung, the latest developments of LRT / MRT lines across Klang Valley and the Greater Klang Valley will enhance connectivity and positively impact Malaysia’s residential and commercial property market, and these developments will create positive spin-offs in the commercial sector, automatically attracting investors where weakened Ringgit makes luxury properties in Malaysia extremely attractive and more affordable. GREDAC offers an opportunity for participants to mingle and interact with delegates from around the world through networking and business matchmaking sessions, allowing them to engage in forming new partnerships and forging new business relations. Participants of GREDAC will be spoiled for choice with access to over 50,000 real estate developers and agents from countries including Singapore, Thailand, Indonesia, Philippines, Cambodia, Vietnam, China, Hong Kong, Taiwan, Japan, South Africa and also Australia. Some of the highlights of the conference in April 2016 are speaking programmes ranging with topics from the outlook of the ASEAN Property Market, to learning the latest trends in digital lead generations for real estate professionals as well as getting a grasp in attracting Japanese investors and penetrating the Japanese Market; all from key speakers across Asia with over 20 years of experience combined in the real estate and property industry, eager to share their knowledge and foresight at GREDAC. Prominent speakers include Dato’ Seri Matthew Yeoh, Agnes Wong and Elizabeth Siew from Malaysia; Colin Tan from Singapore; Ken Urata from Japan and Janette Toral from Philippines. Early bird packages are currently available for purchase and extended until the day of the global conference for interested participants. For walk-ins, local delegate participations will be charged a standard package fee of RM680 and USD250 for foreigners. For more information, kindly contact 03-93680019 / 0393680020 or email to enp@wonderlist.property.